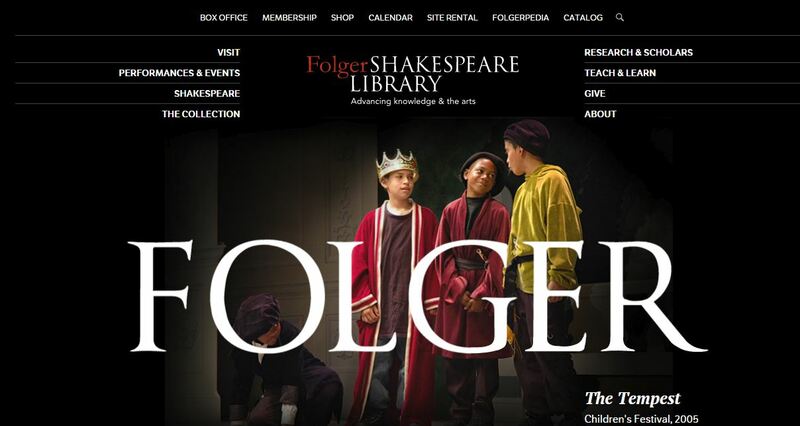 Here at Folger, we’re pretty thrilled about the new, sleek www.folger.edu! The pages are easier to navigate, and they’re chock-full of incredible images, multimedia, and other resources perfect for the classroom. At the same time, we understand that some of our teaching colleagues—especially those of you who have been using our stuff for years—might be wondering where your old favorites have gone. Well, we’ve revised and reposted our top teaching modules here, and we’ll continue to add teaching modules to that page—some updated “classics,” and some totally new. Stay tuned! In the meantime, don’t miss out on all of the new and improved content on the Teach and Learn pages and the rest of the Folger website. It’s so hard to pick just a few resources to highlight, but here’s a small sampling of stuff to use in your planning and teaching and in your students’ discovering and learning. Most of these resources work with multiple concepts and skills, but we’ve tried to categorize them for easy viewing. Enjoy!